Last year, we have Nendoroid Petite Angel Miku with Chocolate Piano cake as well as the regular-sized Nendoroid Santa Miku to celebrate the Christmas. What about this year? 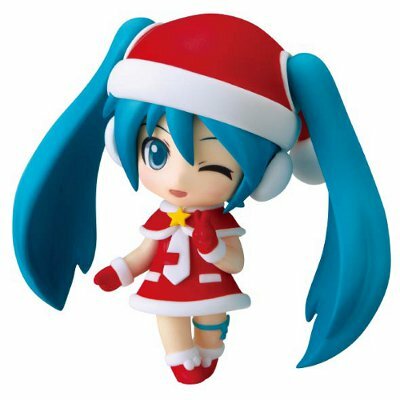 Apparently, Santa Miku will return, albeit in smaller form as Nendoroid Petite Santa Miku + Cake. 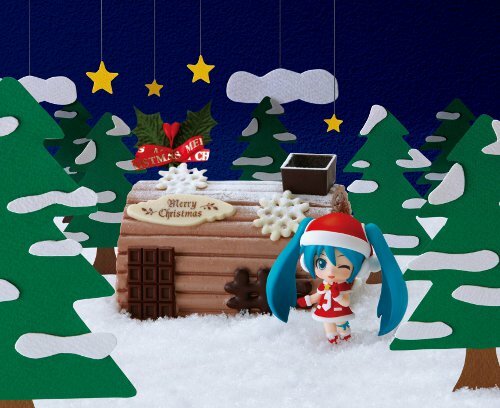 Yes, as you can see in the picture above, Petite Santa Miku will be included along with the cake package. 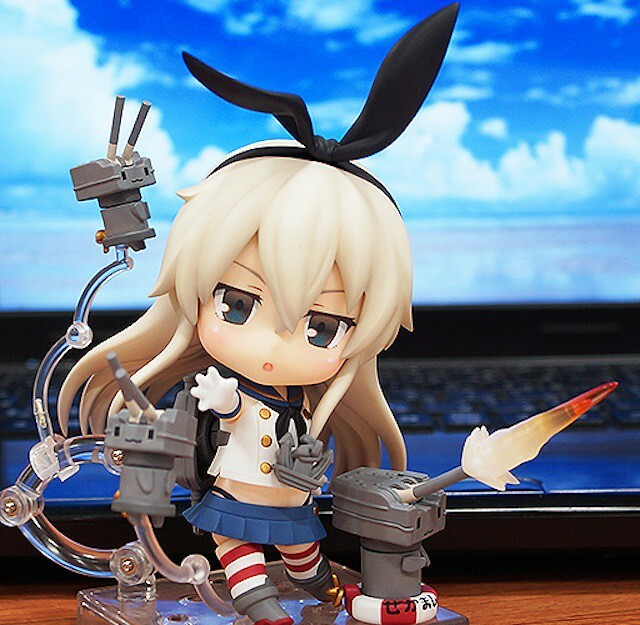 If I remember correctly, we have already seen her design back then at the WonFes last summer, so I am surprised to see that Nendoroid Shimakaze has been fully painted. For you who have no idea about her, well, she is one of the (cutest) characters in the recently popular browser game Kantai Collection ~KanColle~. Well, you can visit Kahotan’s blog to view more lovely shots of this cute Nendoroid. Oh, and she will be available for pre-order starting September 30 and scheduled for March 2014 release. What do you think, Nendonesian? Are you going to pre-order her? 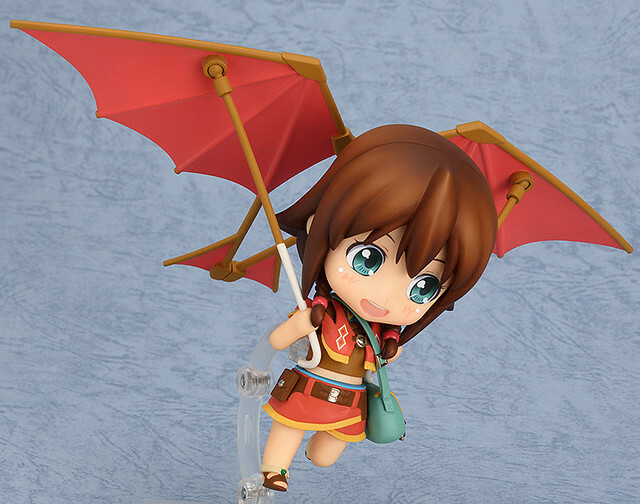 The cheerful messenger girl always speeding around Gargantia! From the anime series ‘Gargantia on the Verdurous Planet’ comes a Nendoroid of the energetic heroine of the series, Amy! She comes with two different smiling expressions to really bring out her cheerful and energetic personality. Other optional parts include the ‘kite’ glider she uses on her deliveries, the Hideauze flute that Ledo made as well as the Grace, the squirrel who always keeps her company – various parts to help recreate your favorite scenes from the series! … anyway, Nendoroid Amy will be priced at a whooping 4800 Yen, and scheduled for March 2013 release window. As usual, pay a visit to Kahotan’s blog to learn more her. 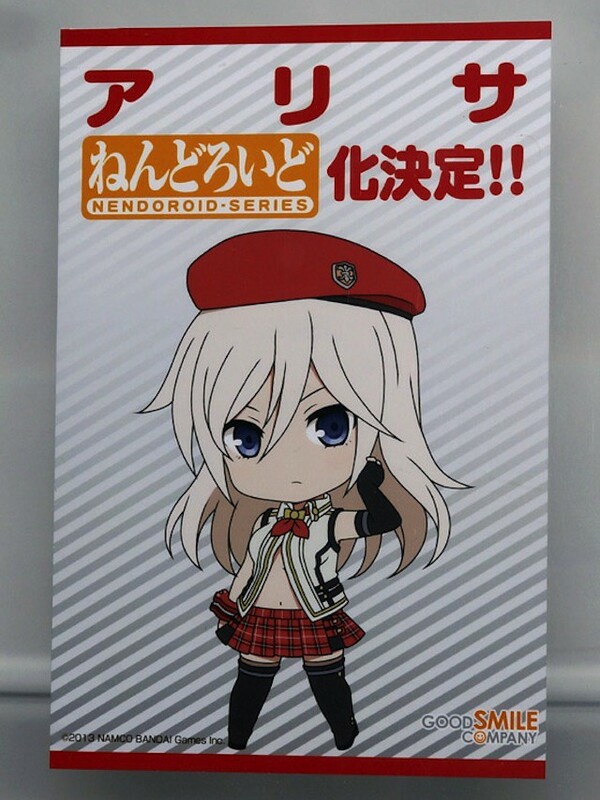 Anyway, this is a great news for God Eater fans out there: Nendoroid Alisa Illnichina Amiella is currently in development, and as you can see in the design, she will be sculpted based on the God Eater 2, no less! Ah … I cannot wait to see how her Nendoroid will turn out later. How about you, Nendonesian? A brand new Nendoroid More parts!? Yes, please! *ahem* It seems that there will be a new Nendoroid More parts announced shortly, and GSC’s Mamitan has just posted a teaser about it. Good news for all iM@S fans: a new IDOLM@STER Petite set is announced! Yes, the Nendoroid Petite: THE IDOLM@STER 2 Million Dreams version – Stage 01 is available for pre-order starting today yesterday! The idols are back, this time wearing their ‘Million Dreams’ stage outfits! The popular Nendoroid Petites from ‘THE IDOLM@STER 2’ are back again, this time featuring the idols in their ‘Million Dreams’ outfits! The set includes seven idols including Haruka Amami, Chihaya Kisaragi, Makoto Kikuchi, Yayoi Takatsuki, Mami Futami, Takane Shijou and Ritsuko Akizuki. The alternate colored outfits will help you produce your cutest concert ever! The whole set will cost 4800 Yen and it is scheduled for release on February 2014. As usual, you can see them up close by paying a visit to Kahotan’s blog. Well, we have already seen pretty much everything about Nendoroid Misaka previously, so it is about time that she becomes official. 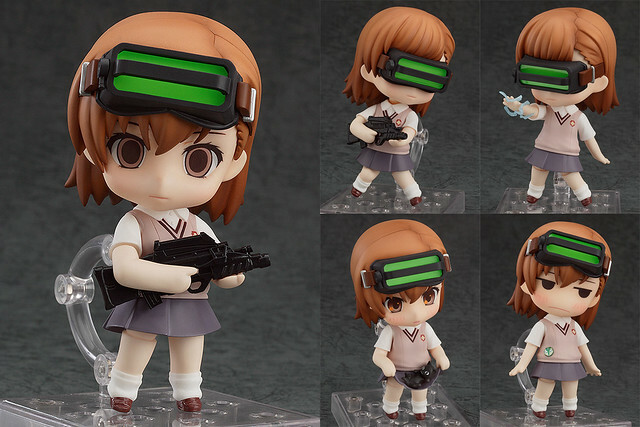 From the anime series ‘Toaru Kagaku no Railgun S’ comes a Nendoroid of one of Mikoto Misaka’s clones! 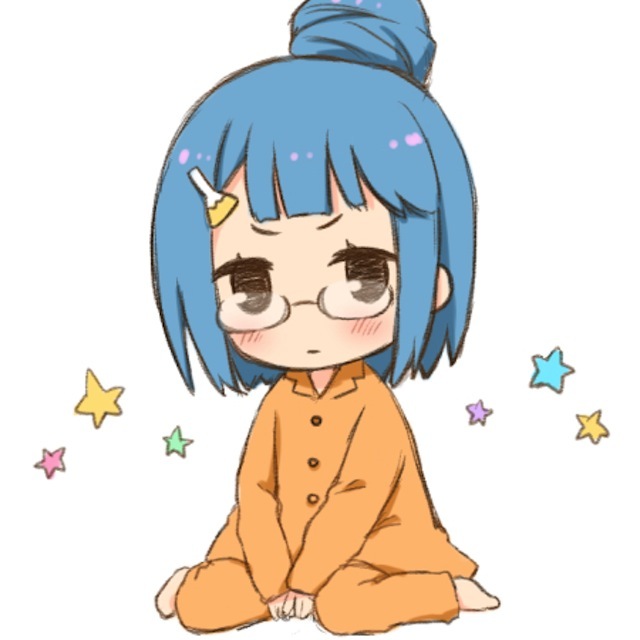 She comes with three expressions including her standard blank expression, an interested expression and a chibi expression. The goggles she wears are also included, and can be worn on either her forehead or over her eyes. Other optional parts include a fully detailed assault rifle and electricity effect parts for combat scenes. The kitten that appeared when she first met Mikoto, as well as a rolled up skirt part to display the kitten in are also included! A Gekota badge is even included to place on her uniform! This Misaka may be a clone, but there are still many unique elements to her for fans to enjoy! Anyway, Nendoroid Misaka is priced at 3500 Yen and scheduled for October 6th release from Good Smile x Karaoke Tetsujin Cafe, or February 2014 for global pre-order. Note that Nendoroid Misaka is a Good Smile Online Shop exclusive. In any case, you can take a closer look at the Nendoroid up ahead in Kahotan’s blog.